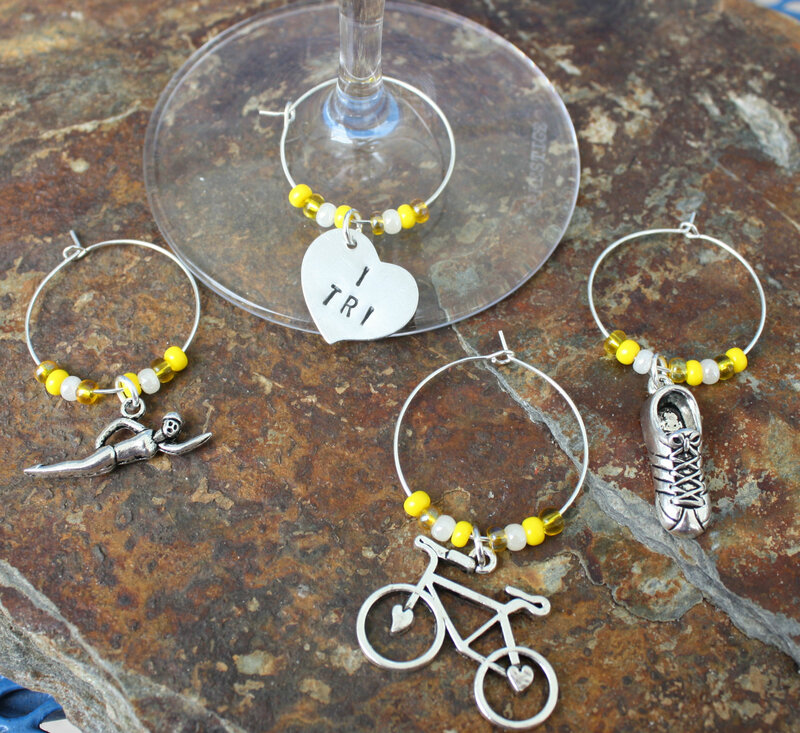 Show your love for triathlons with these unique wine charms. 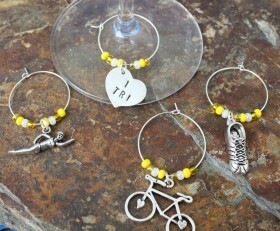 There is a swim, bike and run wine charm. For the fourth charm, choose what you want custom stamped on a charm. You can also add the name of your favorite triathlon or a distance like 70.1 or whatever you want. You can also choose your own bead colors. NOTE: Put your custom stamp words in the Order Notes by shipping address. Categories: New, Triathlon Jewelry, Wine Charms.